Let's talk about BBQ brisket. Until recently, I couldn't even recommend a restaurant in Pittsburgh where you could get some decent brisket. (Sorry Squirrel Hill, I'm not talking about corned beef.) Within the last few years quite a few options have emerged, but I was shocked at the high quality of the brisket and other BBQ offered by Spork. Now, there is an on-going debate in this country as to whether or not many of the items on my plate can be considered BBQ. American purists argue that only pork constitutes real BBQ and the rest is just food you happen to cook on a grill. This is, quite simply put, outrageous. Any meat smoked on a grill is BBQ. Trying to craft narrow parameters for the definition of BBQ based on the prevalence of the hog in the American south two hundred years ago is just pompous. 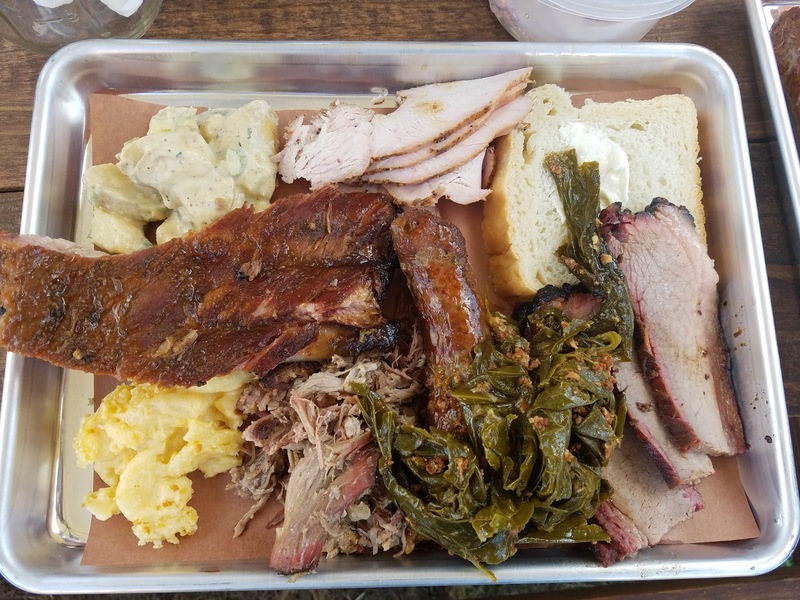 Pictured above is the pulled pork, ribs, brisket, smoked turkey, greens and potato salad. While the pulled pork was excellent, the brisket really stole the show. My second favorite item was actually the smoked turkey and I have to say that the greens were very good as well. On Wednesdays and Saturdays Spork opens their backyard to serve BBQ. Even though the full BBQ menu is only available certain days, many of the items on the normal menu are clearly inspired by the awesome custom built BBQ rig you can check out in their backyard. 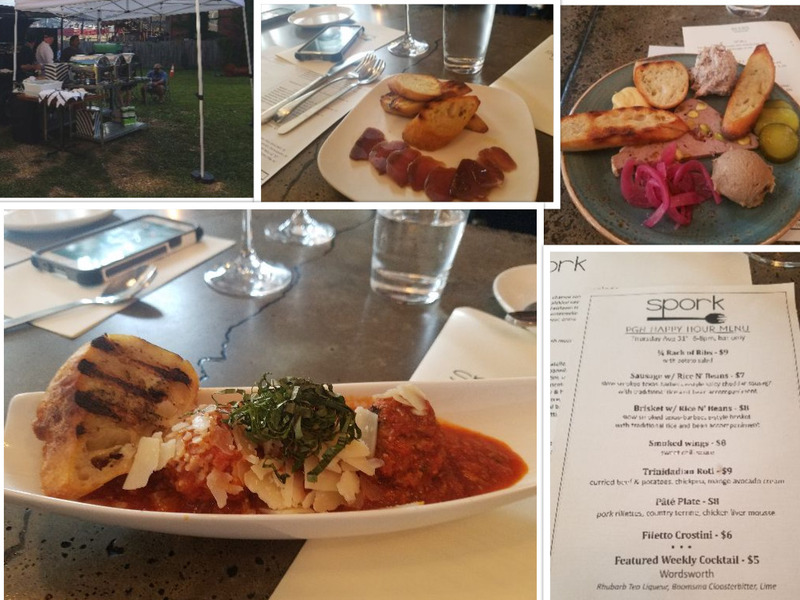 Spork has an extremely well rounded menu. In addition to the wonderful BBQ food I was very impressed by their charcuterie. In my photo collage you can check out the pate plate which came with pork rillettes, country terrine and chicken liver mousse for a paltry $8! That's a good price for offal. A few notes, Giles really liked the sauce coverage on smoked his wings, which we all know is essential to his inner happiness. I'm more focused on texture and flavor when I sample wings, both of which were outstanding. Momo loved her brisket. So much, in fact, that she ordered it two separate ways. Spork had a brisket, rice and beans plate on their happy hour menu for $8 and a brisket ravioli as an entree. My recommendation is to be sure to stop for the happy hour as their small plate prices are unbeatable for the quality.